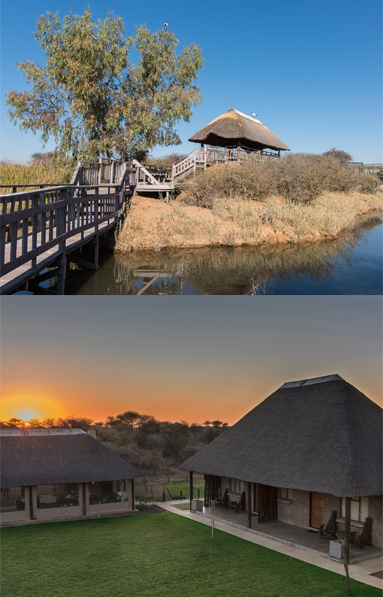 Situated in the beautiful Pienaarsriver area, approximately 50 kilometers from Pretoria you will find Zaagkuildrift Bird Sanctuary and Lodge. A fantastic birding area that boasts 430 different bird species, with a lodge that offers peace and quiet, excellent accommodation and great food. Bird watchers and bird photographers' dream come true with 430 recorded bird species that will give you that special photo or fill up your birding list. Take a Game Drive with us or explore the farm on the off-road trail with your bicycle and if you are lucky you will spot some game like Kudu and Waterbuck. Explore our in-house aviary, and learn about our endangered birds programmes, and do not miss our reptile farm with snakes and crocodiles. Book a chalet, camping site or our new self-catering unit, relax and unwind in beautiful bushveld surroundings and enjoy our hospitality and great food. Zaagkuilsdrift Bird Sanctuary and Lodge is part of the Southern Ground-Hornbill Recovery Programme and all Southern Ground-Hornbills on the farm are registered on the PAAZAB studbook and as such are managed through the PAAZAB African Preservation Programme. Our facility was of those chosen for captive breeding to help build a conservation insurance population with adequate genetic diversity with the potential for contribution to the reintroduction programme. The enclosures were specifically designed for the long-term housing of Ground-Hornbills. If you are one off the lucky ones you will spot the wild Marabou Storks circling over the farm in the afternoon and settle in for the night in the tall trees by the river on the farm and part of the neighbouring farm. There are guided tours through the enclosures in the mornings and afternoons where visitors are allowed to take photos and ask questions. The trails on the farm are also suitable for walking, should you choose this alternative to bicycle riding. Down by the river, are benches where you can do your bird-watching undisturbed with only the sounds of nature around you. Off road biking trail available. This is an exciting alternative to walking. If you are lucky, you might even spot some of the game on the farm. There are kudu, impala, waterbuck, nyala and zebra to name a few. Limited snacks and drinks are available for purchases at the kiosk at reception. Also on sale are novelties and gifts. There are nine units that can sleep up to 30 people, beautifully decorated with inspiration from our birds. The chalets are grouped together with a dam close-by where you can watch the game drink water and view local birds and animals. Also consider our brand new camping sites or our self-catering unit. The decline of the African wild dog populations is ongoing, due to habitat fragmentation, human persecution, and disease outbreaks. Zaagkuilsdrift has obtained four Wild dogs as part of a breeding programme. The African wild dog is a highly social animal, living in packs with separate dominance hierarchies for males and females. Uniquely among social carnivores, it is the females rather than the males that scatter from the natal pack once sexually mature, and the young are allowed to feed first on carcasses. The species is a specialised diurnal hunter of antelopes, which it catches by chasing them to exhaustion. 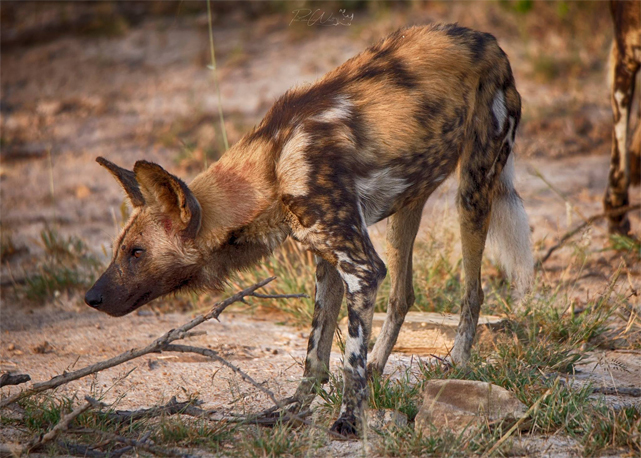 Like other canids, it regurgitates food for its young, but this action is also extended to adults, to the point of being the bedrock of African wild dog social life. It has few natural predators, though lions are a major source of mortality, and spotted hyenas are frequent kleptoparasites. 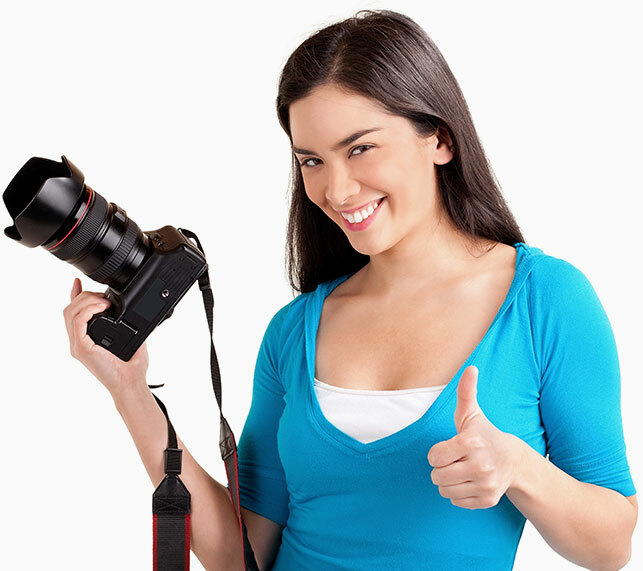 With more than 6900 members on our Facebook page, you will miss out on the action if you don't Follow us!!! !